Dr Silas offers the best that dental technology has to offer. We feel that our patients deserve the best and we have spared no expense in assuring this luxury. We can replace damaged or missing teeth in just one day! Cedric Street Dental Centre has invested in CEREC technology which is a state-of-the-art system in capturing and creating a three-dimensional digital image of your tooth. 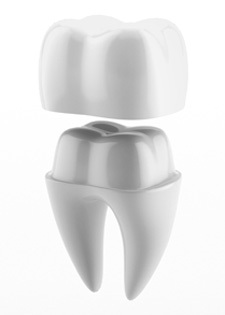 We can create a highly accurate porcelain restoration to replace a missing tooth, chipped, cracked or damaged tooth. We can also fill an area damaged by tooth decay or craft a porcelain crown or veneer. CEREC technology treatments that traditionally took two appointments only require one. This technology means less time in the dental chair! is different from the small close-up x-rays. At Cedric Street Dental Centre we would recommend getting an OPG scan at least every two to four years as this x-ray provides a more comprehensive look at your oral health than a regular digital x-ray. OPG is most commonly used for the detection of wisdom teeth. The earlier wisdom teeth can be detected and removed the better. Ideally, wisdom teeth should be extracted before they erupt. Contact us today and get on the path to optimal oral health.